The results of international education tests showed that Singapore has the highest-achieving primary and secondary pupils in maths and science. The system of education in this country was ranked by the Organization for Economic Co-operation and Development (OECD) as the best in the world in 2015. So what makes Singapore school system so successful? Here are 5 features that contribute to the success of the system of education in Singapore. 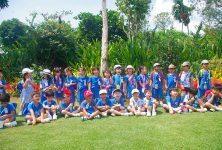 The education system in Singapore is designed in the way to provide students with different learning dispositions and preferences with different learning profiles. After 10 to 11 years of education that begins with 6 years of elementary school and continues with 4 to 5 years of secondary school, each student can choose between two vocational pathways provided by Polytechnics and Junior Colleges. Both pathways can lead to University education. The statistic shows that 30% of students enter university, about 48% choose Polytechnic education and about 22% complete their educational pathway at the Institute of Technical. 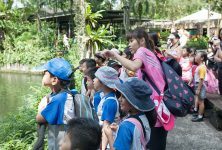 Singaporeans believe that every student learns differently and each has different strengths and their system of education is based on this belief. Different learning pathways provided in the country is a guarantee that each student can progress at his or her own pace. The main aim is to ensure that every student is provided with equal opportunities to be employable and self-supporting in his or her life journey. 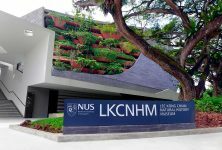 The system of education in Singapore is responsive both to local and international landscape changes. In order to prepare students to be relevant with the times and be able to contribute in country’s economic development, the system proactively responds to such changes. Since 1965, the system of education in the country undergone 4 iterations. Singaporeans believe that in order to be able to respond changes, the whole system needs to be reformed. In order to create the system that will be helpful in achieving desired goals, all the reforms are well and carefully communicated, as well all the outcomes are carefully monitored and measured. One of the most distinctive strength of education system in Singapore is clear identification and articulation of the desired outcomes of education. Such attitude helps to create the national curricula, to adopt different pedagogies, as well as to ensure the high level of preparation and professional development of teachers. Also, it is a helpful method that helps to ensure the ease of communication to every educator in the system. It is used to avoid disconnect between the conceptualization of policies and their implementation at the school or even classroom level. 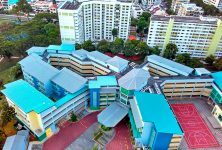 The goal of any school in Singapore is to implement the programs and educational activities in accordance with the national goals of education. And if school leaders and teachers are not clear and are not fully informed, it will be impossible for them to accomplish such goal. Any high-performing education system in the world has good quality school leadership and teachers as one of its key components, so Singapore system is not the exception. The main role of school leaders is to transform the learning environment and empower teachers to be innovative and creative, as well as being nurturing to the students. Nevertheless, these are exactly teachers who have the most intensive interaction with students and that is why they make the greatest impact on their learning outcomes. The success of learning process depends on the ability of teachers to interact with their students properly, as well as on adopted pedagogical practices and tools they use to deliver their knowledge. That is why it is so important to provide new teachers with appropriate competencies. The Ministry of Education in Singapore realizes this and makes heavy investments in the building up of a high-quality teaching force. The contribution of the NIE, the sole teacher education institute that prepares all teachers for the education system, is considered to be the key element when it comes to the preparation of a high-quality force. It is exactly NIE’s responsibility to ensure that teachers graduating from the institute are equipped with the appropriate attributes and competencies to be good instructors to the 21st century digital learners. In order to ensure that this responsibility is fulfilled, NIE even created a new model for teacher education known as “Teacher Education Model for the 21st Century”. One of the main goals set by the Ministry of Education in Singapore is to make every parent an Engaged Partner. The MOE understands the importance of parental engagement as these are exactly parents can reinforce the values taught in the schools through their emphasis. There are two main platforms that ensure interaction between schools and parents: a Parent Support Group (PSG) that is comprised of parent volunteers in every Singaporean school and annual meetings between the teachers and the parents where the progress of their respective children is discussed.